Well, two days ago was the big day! It was pretty fun, if you don’t count the entire school day. Before I went to school, mom surprised me in the morning with some presents, we went to Daylight Donuts and I had donuts for the first time in 9 months, and overall it was a great morning. I got to school, received my math test back (which I did in class in 20 minutes) and got perfect scores, and then that’s where I’m going to stop that narrative, because basically everything after that was uneventful. 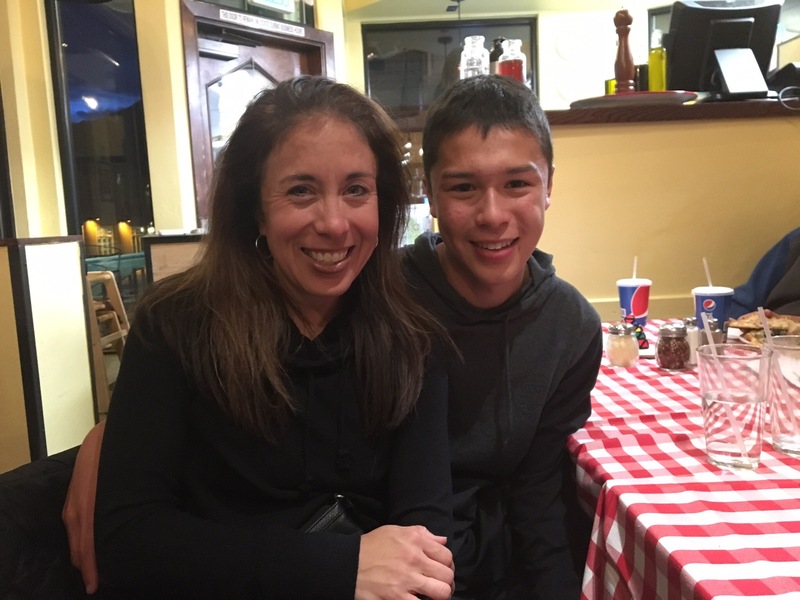 After soccer practice ended, mom picked me up from the school and took me to Giampietro’s Pizza, which is basically the best pizza place in Breck. There I met up with the rest of the family, our friends the Heflins, and our traveler/backpacker/smart person/doctor friend Doug, and ate a TON of pizza. Isaac and our friend Bodie had gone shopping on Main Street for me, and got me an abundance of gifts. I got an awesome hat and some shirts from my favorite snowboard brands. After I was done stuffing myself with dairy, gluten, and a ton of other stuff I should not have had that much of, we went to the Breckenridge Escape Room. Now, I can’t really say anything about what’s inside, but there were some amazing puzzles that we solved, and in the end we escaped with five minutes left on the clock. While this birthday wasn’t as eventful as years past, the time with my family was special to me, and they definitely made me feel like it was. Even with school, we still get time with each other every day, and I’ve learned to make the most out of those moments and treasure them. I had a soccer game last night, our fourth-to-last, against Glenwood Springs. I did pretty good, but it started storming at halftime and everyone was freezing for the rest of the game. We ended up winning 2-0, which I was happy about. But after missing every opportunity I had in past games to score, I’m getting fed up with it. I see it as 3 games left, 3 last chances for me to put one in the back of the net. If I get put on wing and have a shot, I’m going to just take it. I guess it doesn’t really matter as much to the team, but it’s a big personal deal to me – I feel like I have something to prove to myself, because scoring goals is just something I love to do and I haven’t been able to do it. I’m going to give it my all for the next 3 games, and I’m confident that when I get put on wing, I’ll have a few shots before the season ends.